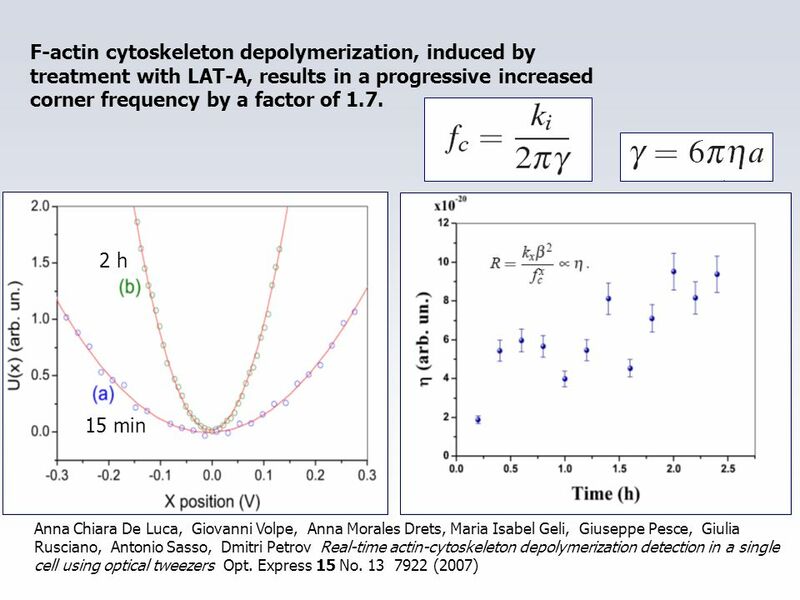 11 OT can be used to detect structural changes in the cytoskeleton of living cells!! 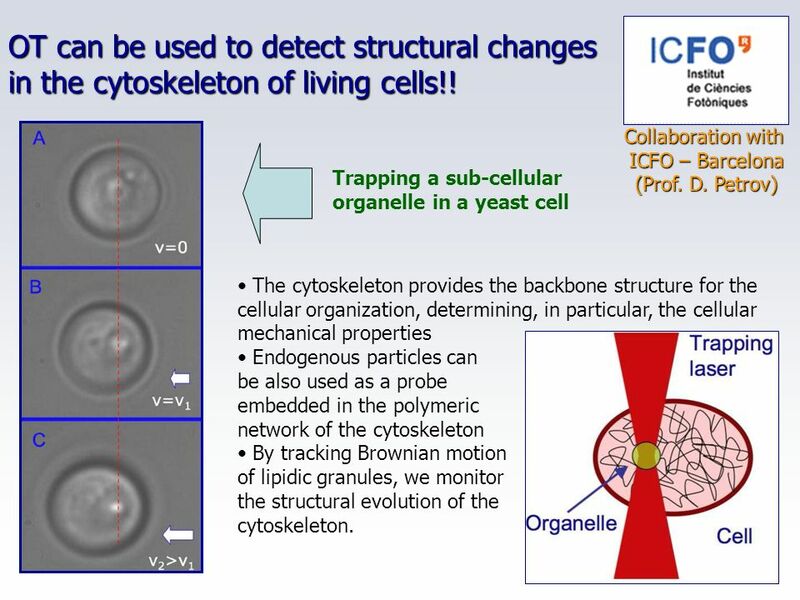 Collaboration with ICFO – Barcelona (Prof. D. Petrov) Trapping a sub-cellular organelle in a yeast cell The cytoskeleton provides the backbone structure for the cellular organization, determining, in particular, the cellular mechanical properties Endogenous particles can be also used as a probe embedded in the polymeric network of the cytoskeleton By tracking Brownian motion of lipidic granules, we monitor the structural evolution of the cytoskeleton. 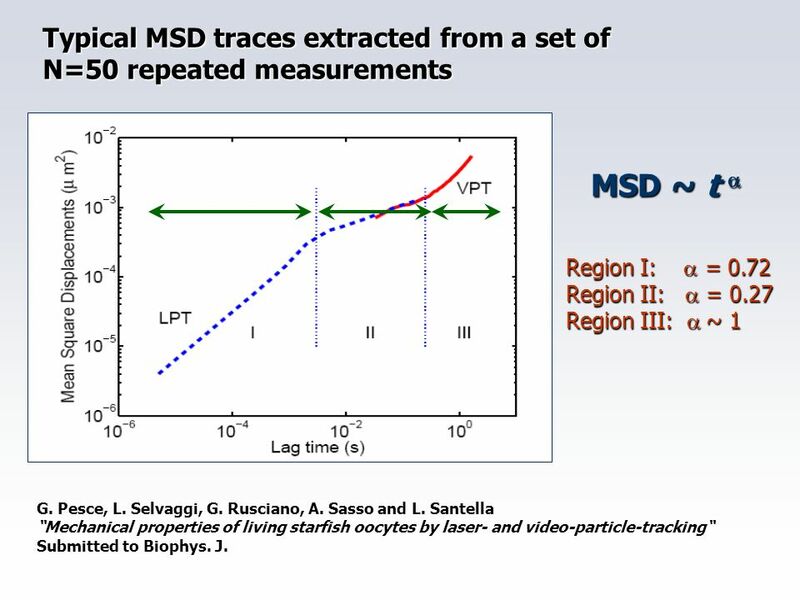 MSD ~ t a Region I: a = 0.72 Region II: a = 0.27 Region III: a ~ 1 G. Pesce, L. Selvaggi, G. Rusciano, A. Sasso and L. Santella “Mechanical properties of living starfish oocytes by laser- and video-particle-tracking“ Submitted to Biophys. 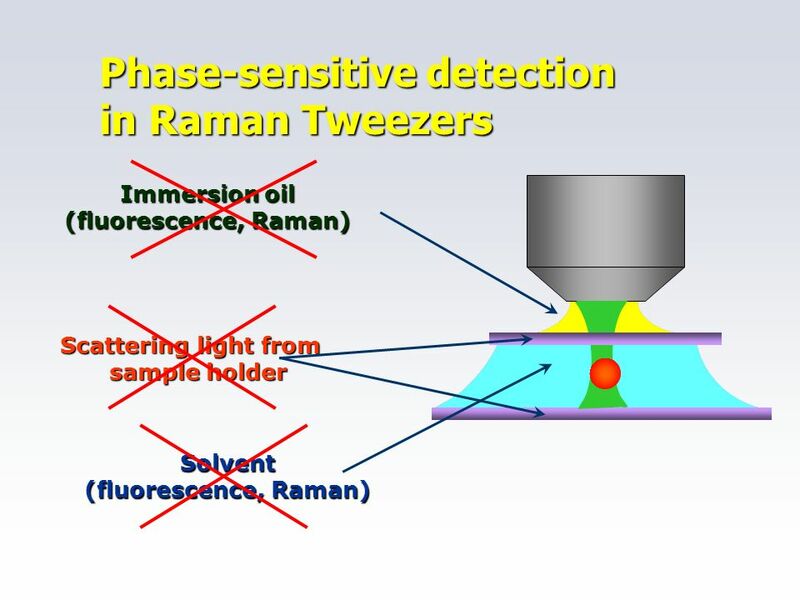 J.
Download ppt "Optical Tweezers systems for biological applications"
Detection of Single Red Blood Cell Magnetic Property using a Highly Sensitive GMR-SV Biosensor Sang-Suk Lee, Sang-Hyun Park Kwang-Suo Soh CKC. 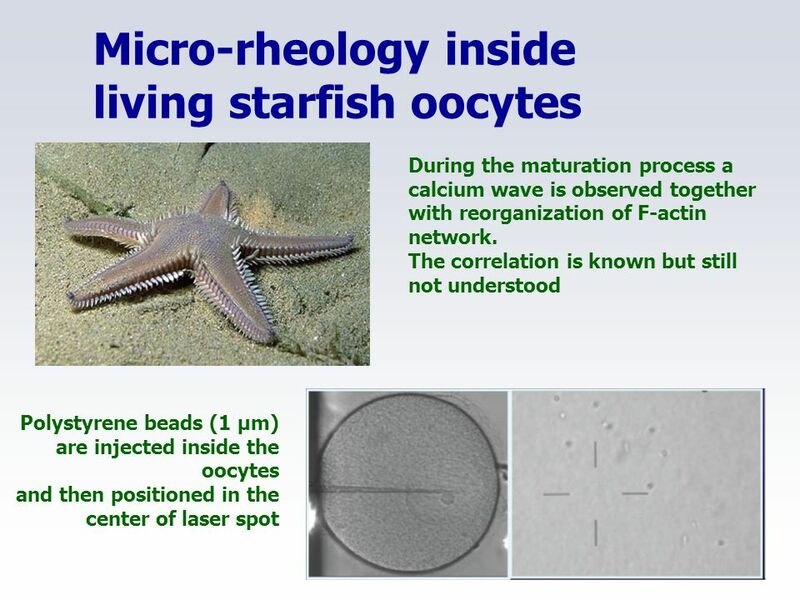 Microscopy Outline 1.Resolution and Simple Optical Microscope 2.Contrast enhancement: Dark field, Fluorescence (Chelsea & Peter), Phase Contrast, DIC 3.Newer. 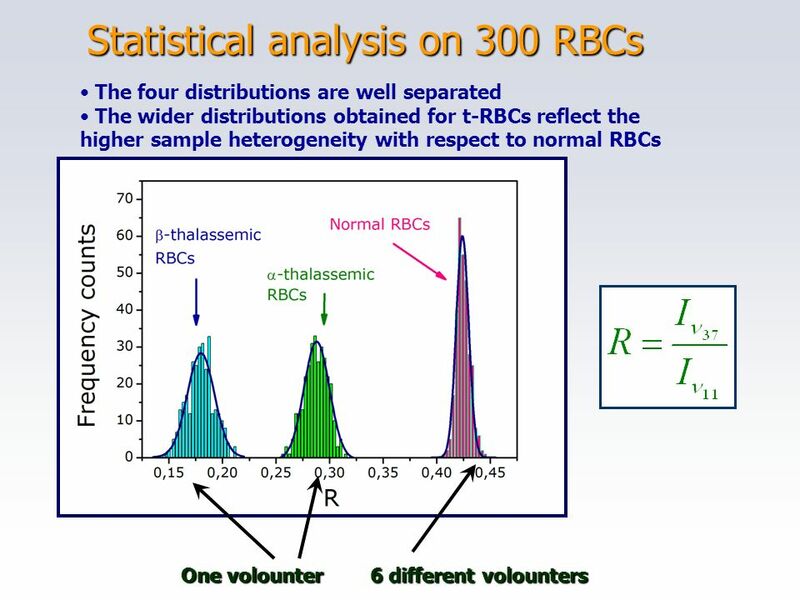 Hemoglobin Determination. 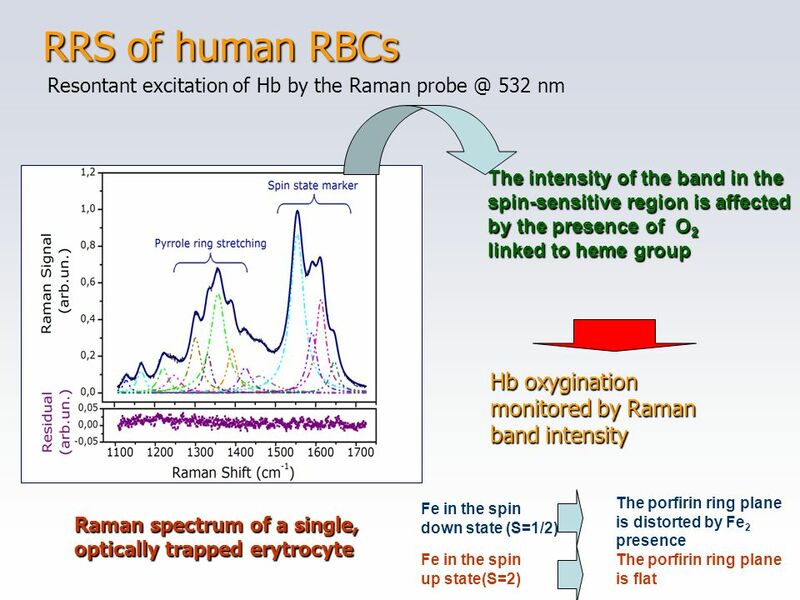 Hemoglobin — Found in the RBC. — Responsible for carrying oxygen to all cells in the body. — Also binds to carbon dioxide and. Dr. Nasim. 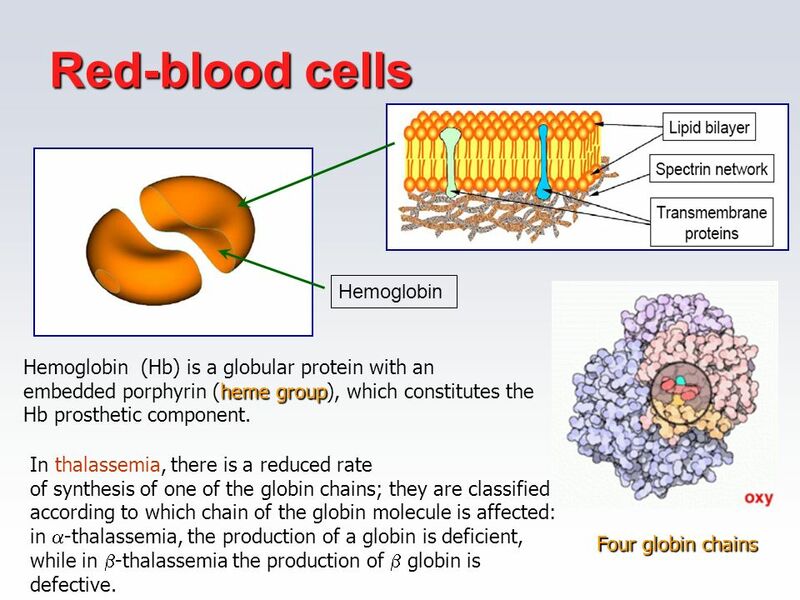  Hemeproteins are a group of specialized proteins that contain heme as a tightly bound prosthetic group  hemoglobin and myoglobin, the two. 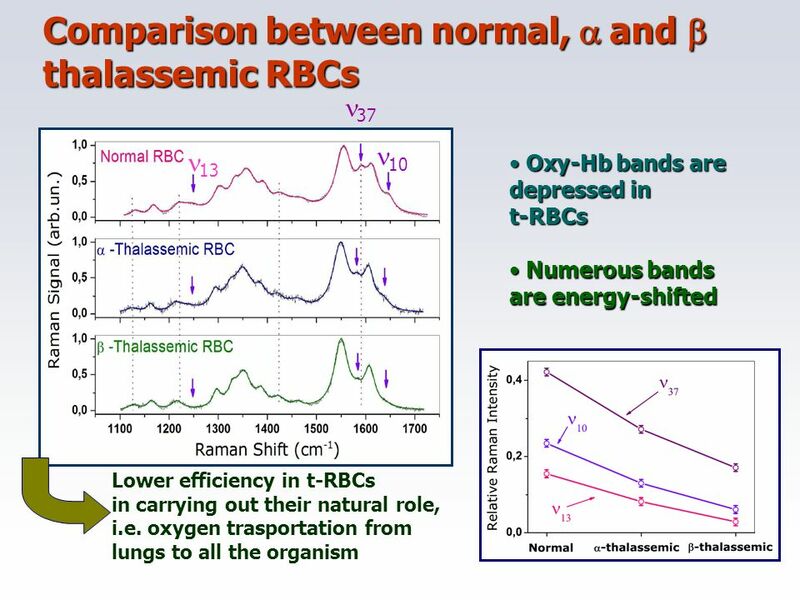 Internal Gas Transport (“Blood”) Chapter 22 Functions of “Blood” Gas Transport Nutrient Transport Excretory Product Transport Cell Signal Transport Hydraulic. Single Molecule Studies of DNA Mechanics with Optical Tweezers Mustafa Yorulmaz Koç University, Material Science and Engineering. 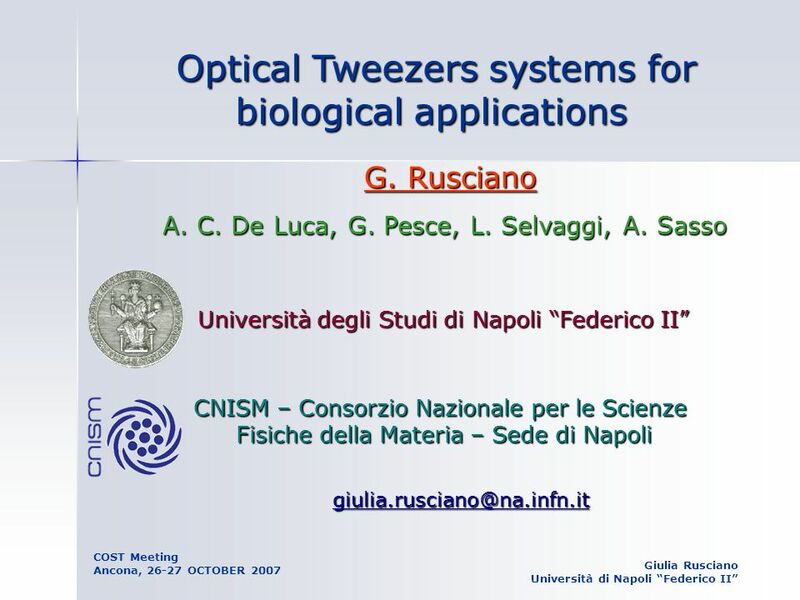 Optical Tweezers F scatt F grad 1. Velocity autocorrelation function from the Langevin model kinetic property property of equilibrium fluctuations For. 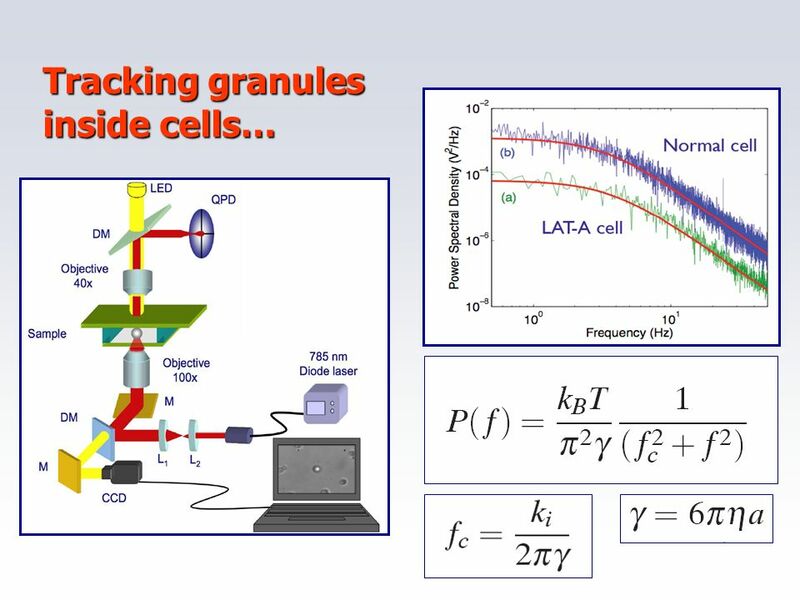 Lecture 8: Measurement of Nanoscale forces II. What did we cover in the last lecture? The spring constant of an AFM cantilever is determined by its material. 1 Chapter Contents 1. 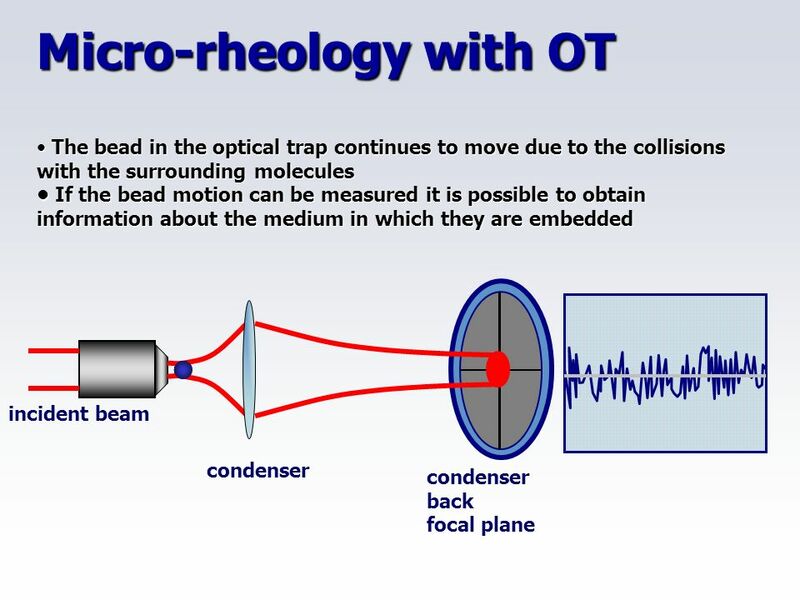 Basics of Optical Spectrum Analysers 2. Fabry-Perot Interferometers 3. 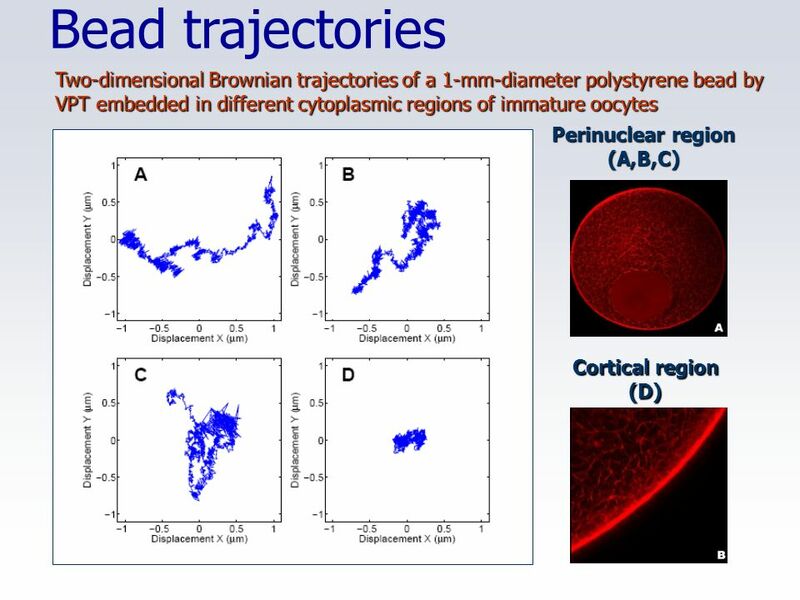 Interferometers-based Optical Spectrum Analysers 4. Diffraction. 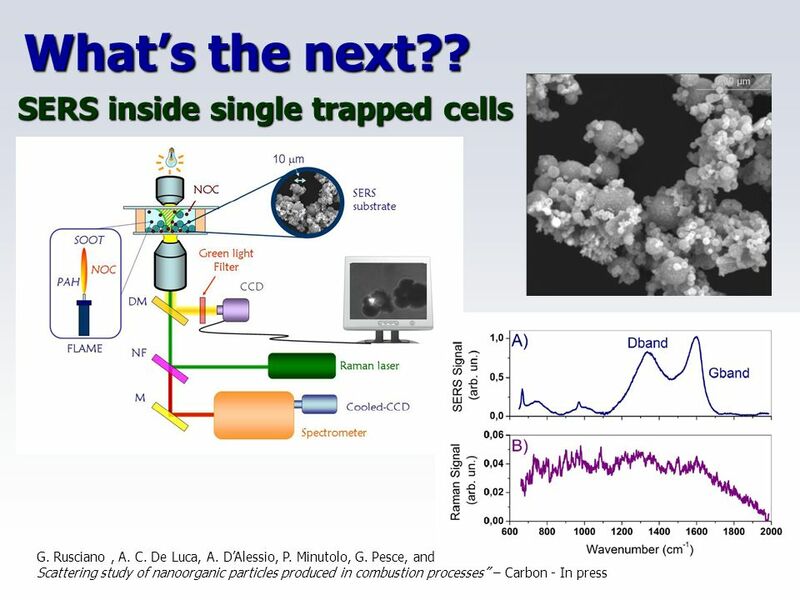 Cystic Fibrosis: A Rheological Catastrophe CISMM: Center for Computer Integrated Systems for Microscopy and Manipulation Collaborators: Bill Davis 2, Ric. 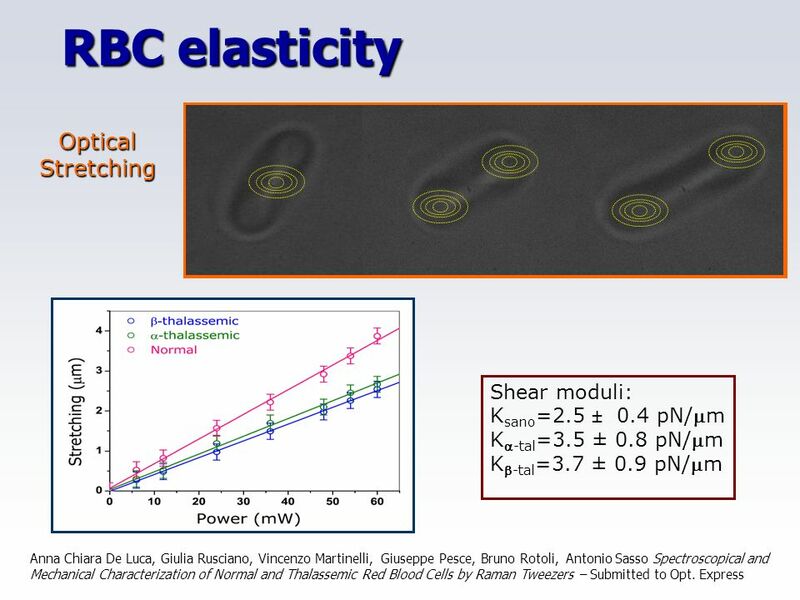 Micro PIV  An optical diagnostic technique for microfluidics (e.g. 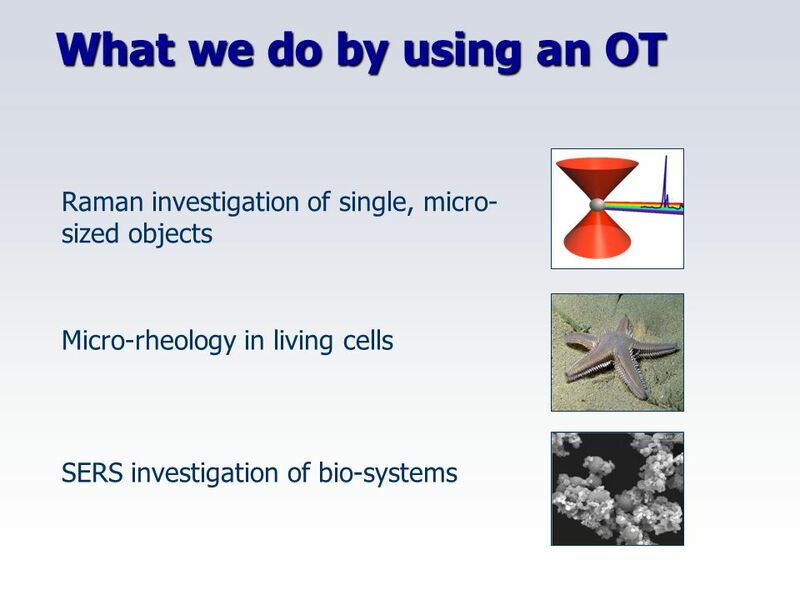 MEMS, biological tissues, inkjet printer head) Requirements: Measure instantaneously. 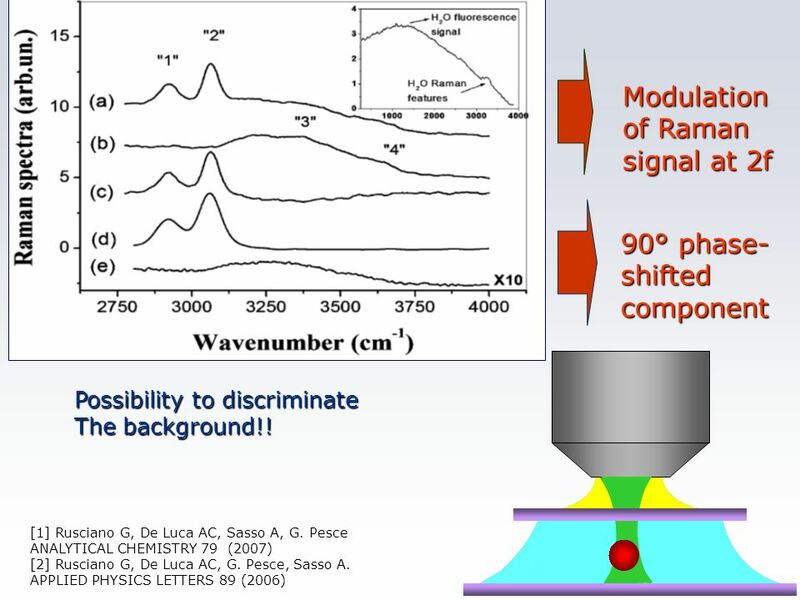 Raman Spectroscopy 1923 – Inelastic light scattering is predicted by A. Smekel 1928 – Landsberg and Mandelstam see unexpected frequency shifts in scattering. Date of download: 6/25/2016 Copyright © 2016 SPIE. All rights reserved. Lensfree imaging module. (a) Schematic illustrating the principle of lensfree image.